Making an investment in Indonesia will gain one access to the largest domestic market in Southeast Asia. The assets of the country include lower overall labor costs, political stability and a growing middle class. Total foreign investment in 2013 reached $23.2 billion USD (United States Dollar). As in 2011 and 2012 over 50% of the money went toward foreign direct investment. This included plant, equipment and other ventures. The other portion went mostly for portfolio investment, which included purchases of equity and debt securities. 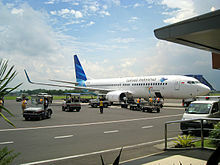 Indonesia is attracting substantial money. At 2.7% of nominal gross domestic product (GDP) in 2013, it exceeded that of any other Asian country with the exception of China. In 2014, the first 6 months of the year saw inflows equaling 2% of GDP, which is a 14% increase from the year before. The total amount derived from portfolio investments have increased by nearly 300%. It is now approaching 4% of GDP. In contrast, many countries in the region are experiencing net outflows of wealth. In 2013 and 2014 this included Hong Kong, South Korea, Malaysia, Philippines, Singapore, Taiwan and Thailand. Outside of Indonesia, India alone among the major countries of the region experienced net inflows of direct investment and portfolio assets, but together these only total 1.8% of GDP. The three largest foreign country investors in Indonesia’s economy are Singapore at 56%, Japan at 31% and the United States trailing at just 4%. The election of the reform oriented president Joko Wibodo this past July, played a role with the continued positive sentiment on the part of investors. The fairly new president has departed somewhat from previous government economic plans by promoting more emphasis on infrastructure development. President Wibodo is very much for increasing regional autonomy and allowing more decentralization in economic development, but is also stressing the need for major government investments in transportation and communications. Indonesia is finally moving forward with providing a better environment for business development in general. Along with accelerated infrastructure development the new government under Wibodo and the legislature elected last April, is now implementing reforms to deal with an inefficient and lethargic central bureaucracy. The continuous and underlining problem of corruption, remains a fundamental challenge that eluded previous governments in Indonesia. This issue will serious measure the commitment the present government has made, to totally modernize the country by 2025. 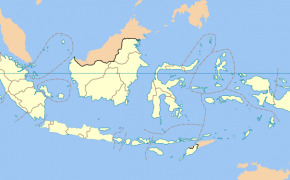 Indonesia is somewhat unique in that the country is comprised of between 17,000 and 18,300 islands of which only 922 are permanently inhabited. In fact up to this point, only between 8 and 9 thousand have been officially named. With 250 million people spread across this massive archipelago at distances of thousands of miles or kilometers, an efficient and modern transportation and communications hub is the necessary input beyond other economic and political reforms. 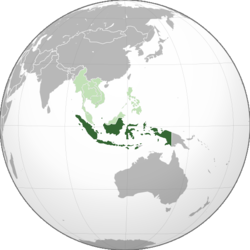 Of interest, Indonesia is the largest mostly Muslim nation in the world. Nearly 90% of the population of the country is Sunni. Although it must be said, that the government does officially recognize 5 other religions, in addition to Islam. The government plan calls for a nautical first-rate corridor, that will link the major parts of the country going east and west. The design calls for the building of 10 new coastal hubs to support the 6 major seaports already in existence. These of course will be upgraded to international standards, to facilitate more trade and investment. The central government has also identified other industries essential for the modernization plan. These would include: agriculture, fishing, manufacturing, shipbuilding and tourism. The accent at this point is for value added industry, rather than simple extraction and export. To help with this effort a number of new industrial centers are being planned and developed. Tourism alone, is a major sector of the economy that has not been fully exploited. Although less than 10 million people visited the country in 2014 the hope is to double this rate in 5 years. Again the biggest hurdle here, will be infrastructure. More eco-tourism would be of a major benefit to the economy, but it is unlikely to happen, unless accessibility to more remote parts of the country is made easier. The GDP of Indonesia in PPP (Purchasing Power Parity) is the equivalent of 1.2 trillion USD, per capita that would be close to $5,000 USD. That comprises a huge internal market that investors may wish to consider. Economic growth in GDP is 6.2% and has been 5.9% on average, in the last 5 years. Inflation has been relatively low for an emerging market, at 4.3% and unemployment at 6.2%. 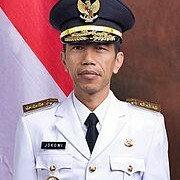 What has prevented Indonesia from modernizing more quickly has been corruption and the weak rule of law. The economy is not yet considered free, by most international standards as a result. The judicial system continues to remain somewhat vulnerable to political interference. 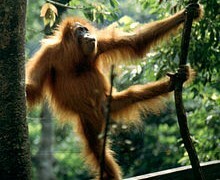 A major concern is the issue of property rights. As is the case in many other countries in the region, they are vulnerable to an extent. On the plus side Indonesia has an average tariff rate of only 2.6%. However, it is true that import quotas and licensing does inhibit the growth of trade in general. Despite reform efforts as of 2014, an investor still needs government approval for several sectors of the economy. The financial sector is an example of this. The top individual income rate is 30% and the top corporate rate is still rather high at 25%. There is a VAT (Value Added Tax) and property taxes as well. The overall tax burden for the Indonesian economy stands at 11.8% of gross domestic income. Public spending is at 19% of GDP, but the public debt is continuing to fall to a rate of just 24% which is a positive development for the country. This reduction can mostly be attributed to the effort being made to move the country away from government subsidies, especially in fuel. Launching a business still takes more than a month on average. Licensing requirements can cost slightly less, than the level of an average annual income in Indonesia. Particularly onerous are the regulations in regard to employment. Hiring and terminating employees is not an easy process and places an additional burden on business and investment in general. It can be said that although the climate for international investment in Indonesia is gradually improving much more needs to be done. 2015 will be the year for the new government to prove that foreign investment in the country is truly welcome. This can be done with reducing regulations and other onerous business and licensing constraints. Concrete legal and economic reforms will need to be put in place, in order to persuade an even higher rate of foreign investment in the immediate future and in the years ahead.